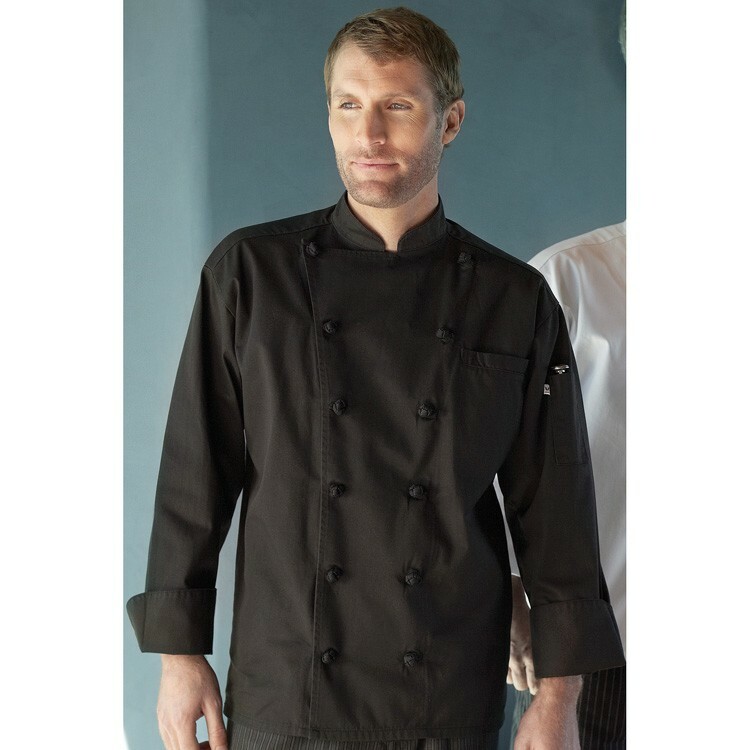 Attention to workmanship is what brings this premium black chef coat to the forefront. Made of 100% premium cotton twill (7.5 oz.) offering twelve black inset knot buttons, sewn underarm vents, an executive style three-piece back, inset chest pocket, thermometer pocket, finished cuffs and collar and reinforced bar tacking. Available in sizes XS-6XL.